With their big, dark eyes, great curiosity and gentle nature – alpacas can melt hearts in an instant. Often described as nature’s stressbusters, they’re native to South America but are now becoming an increasingly common sight in this country. 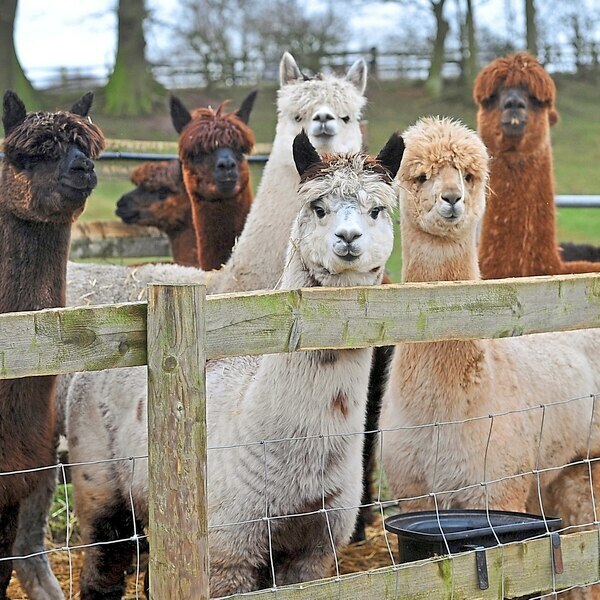 Weekend visited Clivewood Farm in Shropshire, which is home to a herd of 32 huacaya alpacas, to find out more about these intriguing and beautiful creatures. As soon as we walk into their field, fleecy heads turn, ears perk up and dozens of pairs of eyes are fixed upon us. We’ve definitely been spotted. But they show absolutely no signs of being afraid and almost immediately the group of females start to walk over to where we’re standing. A few, realising we’re sadly not there to feed them, turn back unimpressed but many stay, curious about who we are and peering at us from under their bushy eyebrows. “They’re friendly and inquisitive animals. They are very placid and very relaxing to be around. There is something calming about them. They are just lovely,” says Caroline Oakes, who runs the farm with her husband Ian. One of the alpacas that has wandered over to say hello is adorable six-month-old female cria Rhea. The youngster immediately wins us over with her playfulness as she nose-butts our arms and is happy to be stroked on the back of her incredibly soft neck. “Rhea is very curious and likes to see what’s going on. She can be quite demanding and likes attention. “Her mother Bow was a first-time mother but didn’t really understand that she had a baby to look after so Rhea had to be hand-reared with goat’s milk because it’s the closest you can get to alpaca milk,” explains Caroline. “They’ve all got such individual personalities. I’ve kept sheep for years and I couldn’t tell one sheep from another but alpacas are such characters. 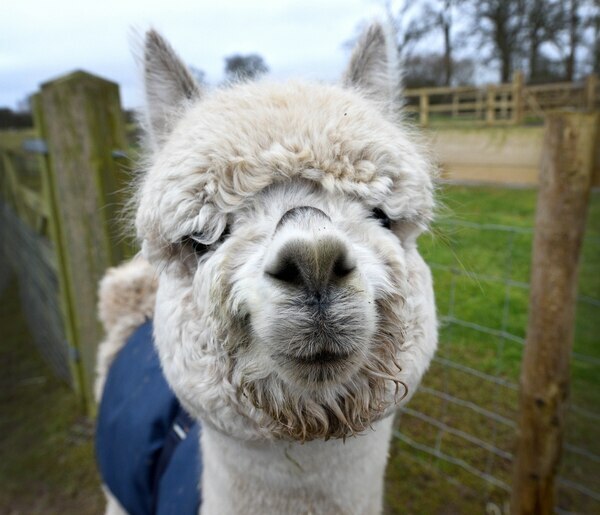 “We’ve got Josephine who is very greedy and tries to eat everybody’s food and we’ve got Erin who is very inquisitive and likes to get her head through the fence to eat and there’s Thora who was born in a thunderstorm and is a very friendly alpaca,” she adds. Many of the males have been named after South American footballers so in their field you will find, among others, Ronaldo, Pele, Sócrates and Dida. “The girls’ names are a bit more random. I’m trying to think of strong women now which is why I named one of the cria Artemis after the Greek goddess. “Some people just keep white alpacas, or black alpacas or brown alpacas but we have a mixture of all colours here,” says Caroline. And it’s not hard to see why these animals are becoming more popular in the UK with 60,000 now believed to be in the country compared with around 200 two decades ago. They have been at Clivewood Farm, in Clive, near Wem, since 2013 when keen spinner and weaver Caroline, who used sheep wool, heard about the positive qualities of alpaca fleece. 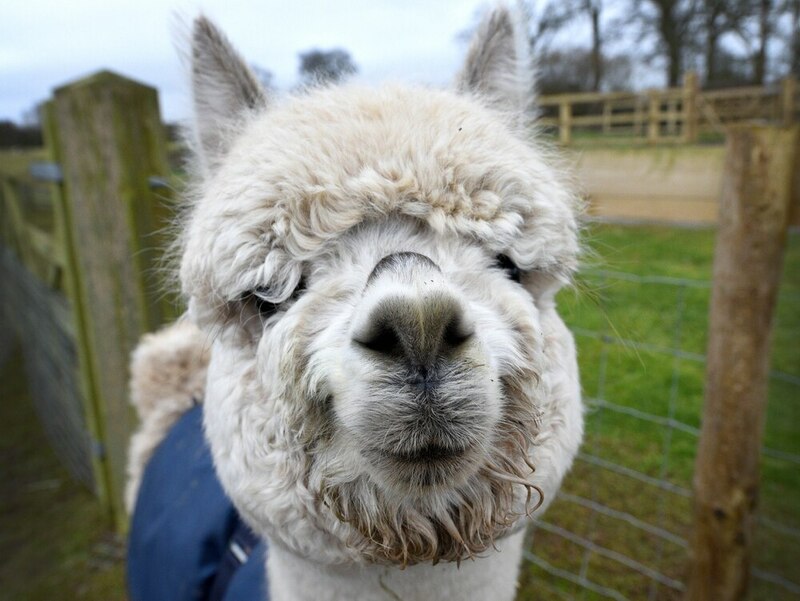 There are two types of alpacas – huacaya, like the herd at Clivewood that have a ‘teddy bear’ look due to their fleece growing in small bundles, and suri, which have more of a Wensleydale sheep appearance. They are often confused with llamas and although they are closely related, alpacas are much smaller, have different shaped faces and ears as well as a much thicker fleece. “It has a different feel to it than sheep’s wool. It’s a softer fleece and more luxurious. It’s not quite cashmere but it’s heading that way,” says 60-year-old Caroline. The alpacas are shorn in June and the fleeces are sent to be processed at a mill. 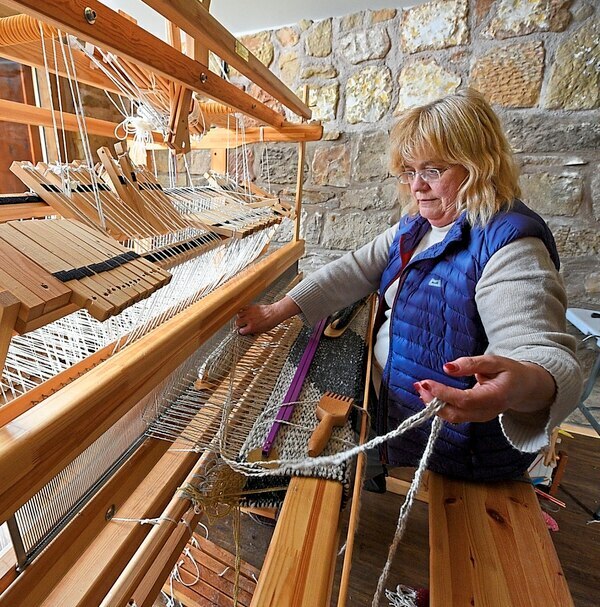 Caroline then uses the wool to create scarves, cushions, throws and bespoke rugs on the looms in her weaving studio. “There are 22 natural colours from white to black and everything in between. We also dye it to make different colours to match people’s decor,” explains Caroline, who also runs courses and workshops for people interesting in learning the craft. 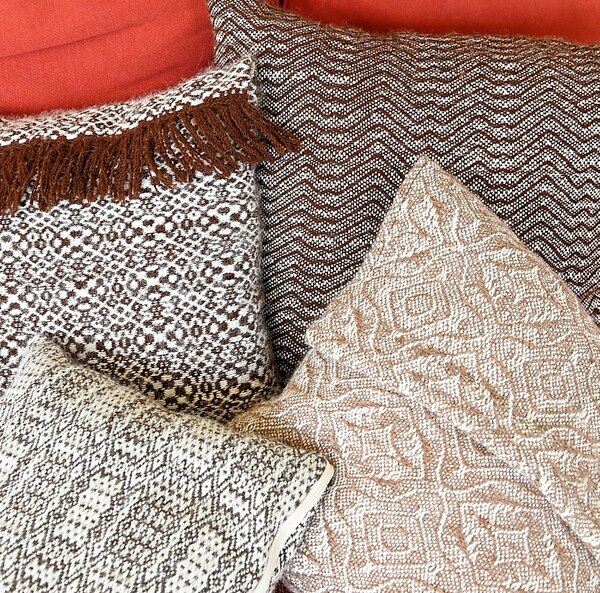 Last year, she took first and second place with her handmade alpaca rug and cushion in the homeware section at the 2017 British Alpaca Society National Show, which returns to Telford’s International Centre on March 24 and 25. 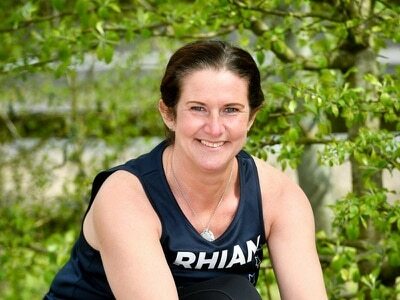 “I find it very relaxing and I get lost in it to the point where people often shock me because I haven’t heard them enter the studio,” says Caroline, who plans to exhibit at this year’s Royal Three Counties Show. As well as the finished products, she also offers a wide range of alpaca fibre suitable for weaving, handspinning and felting. “Although it was the fibre that interested me, I had always thought they were lovely animals. We started with four boys and it’s grown from there. We now have 32. The youngest is six months and oldest is about 15,” adds the mum of three and grandmother of five. According to Caroline, who studied agrifood and business at Harper Adams University, alpacas are relatively easy to keep and are fairly hardy. Helping to keep the animals healthy and content is herd manager Becci Usherwood, aged 37, who has been working at the farm since September. 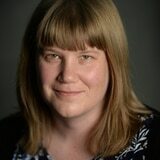 “They are lovely to be around and I’ve enjoyed getting to know their different characters. They are just really interesting animals and there is always something new to learn,” she tells us. Alpacas eat mostly grass which can be supplemented with hay or sugar beet during the winter months. Their weight is regularly monitored and they are checked for worms. Once a month they will also have their toe nails cut to help keep their feet in tip top condition. 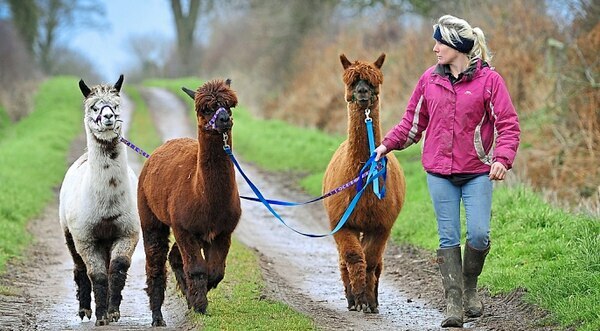 It can take about six months to train one to walk on a lead and they offer people the chance to take their male alpacas for a stroll in the countryside. “People like this because it’s something a bit different and it’s definitely not something you get to do every day. “Whenever we have anyone visit, who doesn’t know we have alpacas, we will always find them down here at some point talking to them. 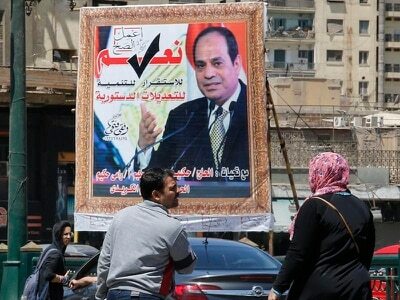 No one can resist them,” she says.